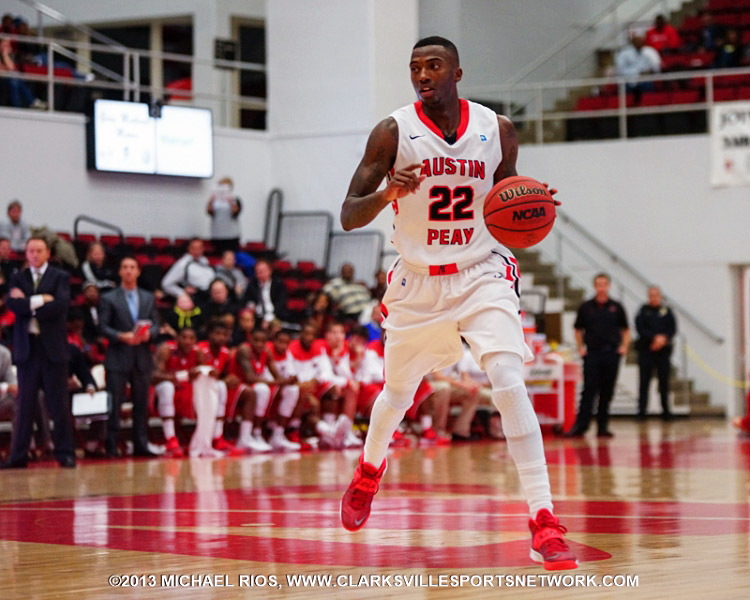 Clarksville, TN – The Austin Peay State University men’s basketball team returns home Thursday, February 13th to take on the Eastern Illinois Panthers. Tip off is at 7:00pm. 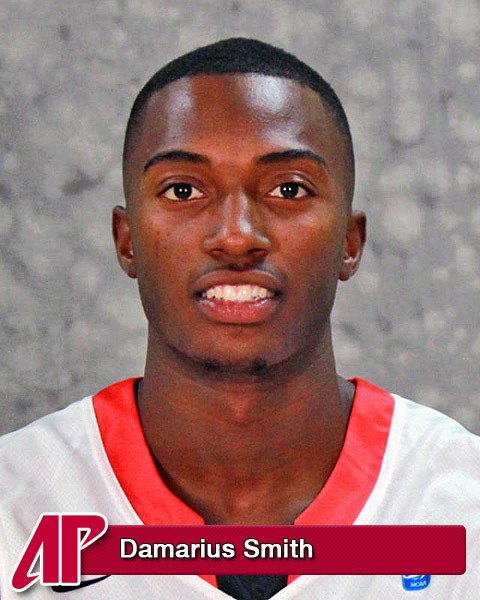 Austin Peay junior Damarius Smith is averaging 8.9 points per game and a conference-best 5.9 assists per game. This is the 40th meeting between Austin Peay and Eastern Illinois, a pair of Ohio Valley Conference foes, with the Governors holding a 24-15 advantage. Eastern Illinois won this season’s previous meeting, a 67-64 decision, January 18th, in Charleston, IL. Sherman Blanford tipped in a missed shot with 16 seconds left to give EIU a three-point lead before Damarius Smith missed a three pointer at the buzzer. 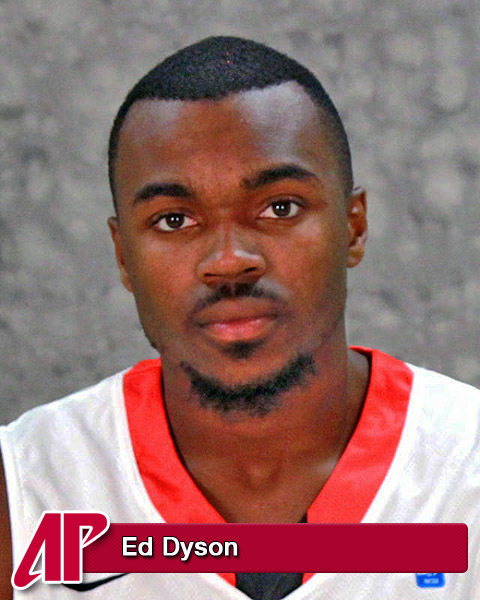 Reggie Smith led EIU with 15 points while Will Triggs had 15 points for the Govs. Austin Peay is 4-6 at home this season with a 3-2 mark in home OVC games. The Governors enter the contest 10-14 and 4-6 in the OVC after splitting a pair of OVC road games last weekend, defeating Tennessee State, 75-65, Thursday, before falling, 93-68, Saturday, at Belmont. Chris Horton tallied his season’s 11th double-double with 18 points and 12 rebounds while Ed Dyson made it three straight double-digit performances with 16 points. Chris Horton leads the Govs in scoring averaging 14 points per game, grabbing 9.8 rebounds per game and a block shot average of 3.2 per game. He leads the conference in blocks and ranks third in rebounds. The Governors have two other players averaging 10 or more points per game in Travis Betran (13.6 ppg) and Will Triggs (12.5 ppg). Damarius Smith adds 8.9 points per game and a conference-best 5.9 assists per game. Eastern Illinois enters the contest at 6-6 in the OVC, 9-15 overall after splitting home games with UT Martin and Southeast Missouri. Southeast Missouri snapped the Panthers three-game OVC win streak on Saturday, February 8th with a 74-68 loss. EIU struggled from the floor in the second half as they connected on 37 percent (10-for-27) of its shot attempts. Forward Sherman Blanford, one of the league’s most underrated players, is coming off a week in which he averaged 25 ppg. 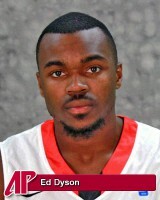 Guard Reggie Smith is averaging 15 ppg during OVC play. Dylan Chatman averaged 12.5 points and five rebounds per game last week. The junior guard leads the team in three-pointers made (31). The Panthers rank fourth in the conference in free-throw percentage (.713). Alex Austin leads the team as he has drained 83.7 percent of his free throw attempts (41-for-49). EIU has averaged 78.3 points per game in its last three OVC outings. The Panthers averaged 65 points per game on the year through its first 21 games. It would make the Governors 11-14 heading into Saturday’s home contest against SIUE…it would make the Govs 5-6 in the OVC…it would make the Govs 5-6 in 2014…it would make the Govs 2-1 in February…it would improve the Govs to 8-4 at home…it woudl improve the Govs to 4-2 at home during OVC play… they would improve to 25-15 all-time against Eastern Illinois…it would make Dave Loos 25-15 all-time against the Panthers…it would make Loos 2-2 all-time against current EIU coach Jay Spoonhour…it would be Dave Loos’ 465th career victory. A game after establishing a career high with 19 points against Murray State, Ed Dyson broke it with 20 against Tennessee State. He then had 16 points against Belmont, giving him double digit scoring in three straight games for the first time this season. 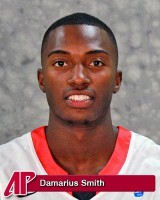 For the second time this season point guard Damarius Smith missed a game (Belmont) with an ankle injury. He left the TSU game with 11:24 remaining with a sprained ankle suffered on a lane drive. He did not return. Earlier this season he missed the Jacksonville State game after incurring an ankle sprain in practice the day before the contest. His replacements, Fred Garmon and Zavion Williams, combined for seven points on 2-of-8 shooting.